Is your iPhone battery draining fast? If your answer is yes, then you should keep reading this article, it will help you improve your iPhone battery by almost around 15%. So, before we start first do this activity, Tap setting > Battery, then wait till Battery Usage section loads. Now check which app is consuming how much battery percentage of your iPhone. If you have Facebook App installed in your phone, then chances are very high that it will top the list. For Example when I check that on my iPhone, I found 18% Battery was consumed in last 24 hours and 16% in last 7 days. This clearly indicates that if I remove Facebook App then Battery performance will be boosted by 15% everyday. Samuel Gibbs, a writer for The Guardian, recently did a research and supplied some clear proof about this fact. As we have suggested on the title of the article, deleting the Facebook app don’t means deleting Facebook account, you should use Facebook in the browser. It is the best way to use the Facebook as it does not consume extra battery of your iPhone. Deleting Facebook app will not only boost the Battery life of your iPhone, but it will help you to get extra memory as well. In my case the memory increased by 500MB, out of which 111MB was only the app and rest was the cache created by the app. Using the Facebook will also allow you to uninstall the messenger, if you are not a continuous user of it. 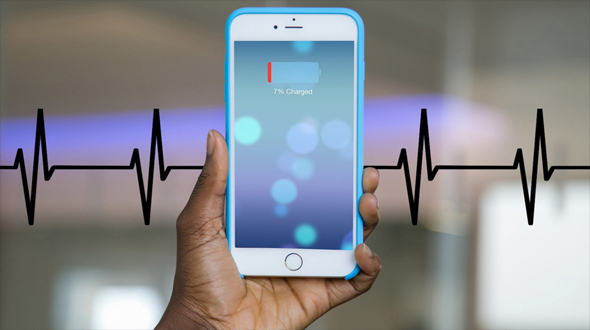 If you are facing issue with your iPhone Battery then there is no harm in trying this tip for improving your iPhone Battery performance by some extra percentage. If you have already did this, do share your views and experience in comment section below.